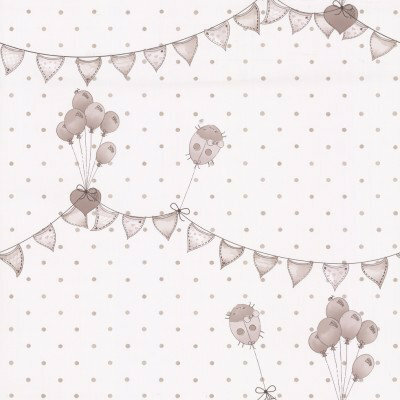 A cute and whimsical wallpaper design featuring trailing bunting and balloons. 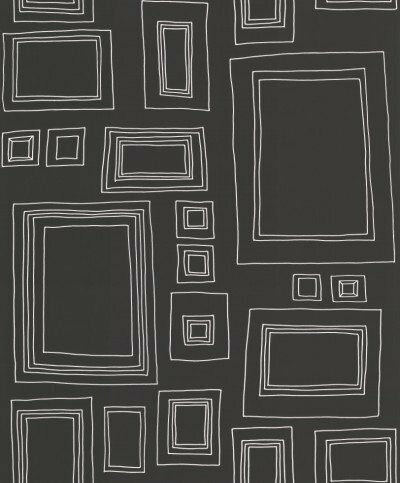 Shown here in white and beige. Please request a sample for a true colour match. 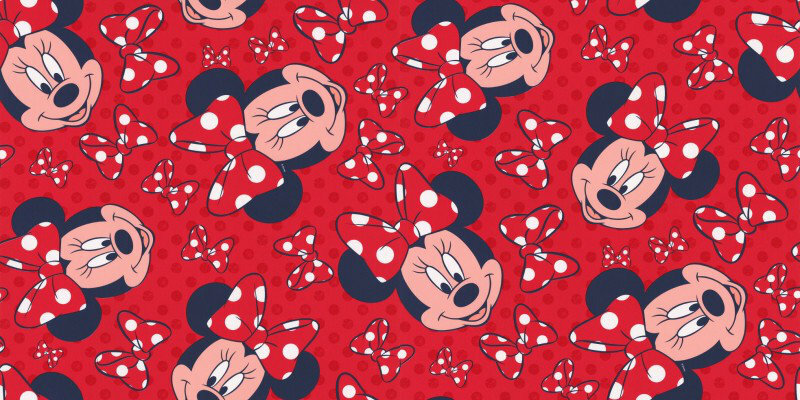 An all over wallpaper design featuring a repeated motif of Minnie Mouse. Shown here in red and white. Please request a sample for a true colour match. 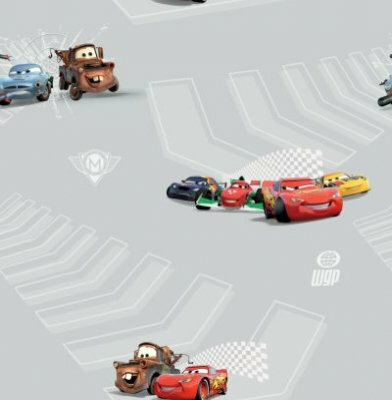 A fun Disney Cars design with the characters Lightning McQueen and friends showing on a light grey background. Please ask for sample for true colour match.